So, I do hope that I’ve not lost too many of my WordPress readers…my blog stats have been plummeting due, I’m sure, to the lack of any new content lately. If you are just finding this blog, welcome, and feel free to participate in our conversations…my intention is to have rich conversation, rather than a series of monologues. What was I doing in NC? A friend of mine here in the D went with me, and we were blessed by the hospitality of my two friends who are retired physicians and who recently rebuilt a beautiful home on their property near the Nantahala Outdoor Center and the Great Smoky Mountains National Park. We went for walks or hikes every day, some more adventurous than others. I needed a little follow-up medical care from a procedure I had last week, which was provided very graciously by K, who used to be my primary care doc before she retired. M and I designed a house blessing ritual at the request of our hostesses, but as I told them, the place was already blessed with their presence and great generosity. I’ll put together a bit of a photo show once I get around to it. In the meantime, it’s time to gear up for the new semester. I have a new course, “Sensors and Actuators” to prepare, and that will take a lot of time, as will my duties as coordinator of our efforts to prepare our 3 undergrad engineering programs for their accreditation visit in Fall 2010. Enjoy…here’s a slideshow of the photos I took one day while in Florida. Most of them are from the Wakodahatchee Wetlands and the Green Cay Wetlands, though the last 2 are from Sr. C’s back yard. If you want to peruse the photos in a more leisurely fashion, feel free to click on the link to the album on Photobucket. First, a disclaimer…I did not take any of these photos, but have linked to the websites they came from. 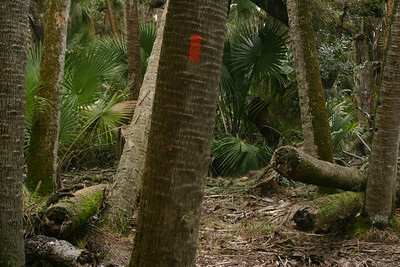 My friends here in Florida and I did a six-mile hike along a beautiful segment of the Florida trail today. I thought I’d bring you along, virtually, of course. We hiked with a group of folks from the local trail association, all were pleasant company. On the way back, we stopped briefly at Lake Okeechobee, just to have a look-see. 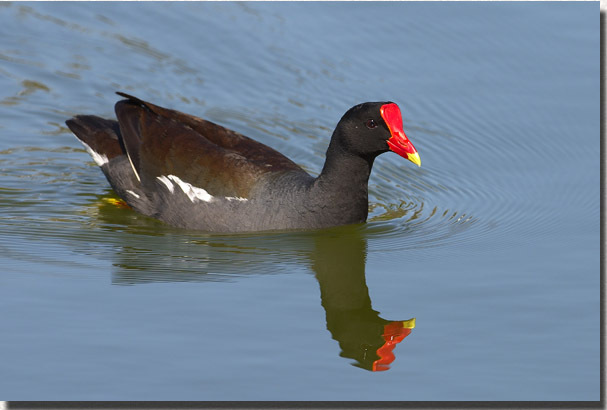 The most interesting bird I saw there was the common moorhen. Probably not so unusual down here, but if they are common in Michigan, well, I guess I’ve just not been very observant. I was thinking about the notion of starting this little break even as the season of Lent is beginning. It may be that God is inviting me to fast from negativity rather than candy…and being out in nature goes a long way towards clearing the mind of some the difficult stuff of the past few weeks. As we in the northern U.S. shiver and hunker down in the face of sub-zero temperatures and more snow, I thought it would be nice to finally share with you some photos I took while on our motherhouse grounds for retreat last July. Sister J. is a wonderful gardener, and spends lots of time making the place beautiful. She has an amazing array of lilies in several beds around the back…if you ever make it to Baden in the summer, don’t miss this splendid display of God’s creation and J’s hard work. Enjoy!